W hen Rakesh Sarna joined Indian Hotels - which owns the iconic hotel brand Taj - as Managing Director and CEO in September 2014, he used to get some 300-odd mails a month with concerns of employees. That has fallen to 40 a month now. "We call employees 'family', but we don't treat them like family members. My duty is to take care of employee needs, I keep emotional engagement with them," says Sarna. 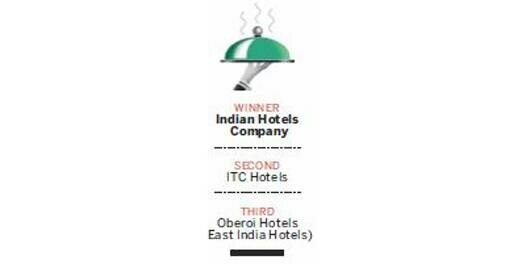 In October 2014, policies and processes changed in Indian Hotels in line with the newly introduced concept called Tajness. Sarna and senior management travelled across group hotels and thanked employees for their contribution and got constructive feedback. It was a message of solidarity, says Sarna. "The central principle of our existence is mutual respect. In the last two and half years, we have removed guests for being disrespectful to our colleagues." Tajness is about customer experience and employee welfare. It works around the inverted pyramid strategy. The entire frontline is at the top of the pyramid and the others, including the senior management, are placed below for supporting them. The frontline is important for Taj as they service the customer, asserts P.V. Murthy, Senior VP & Global Head-HR. "As hoteliers, we have to handle attrition at different levels. Frontline attrition is the most important issue that needs to be handled in a time bound manner," says Murthy. In the Taj structure, general managers are head of the hotels. It has an intranet called 'My Taj', where they have created a Facebook culture and employees post views and share best practices at each hotel. Work-life balance is another focus area of the management. "We work hard at skilling our employees and give them confidence," says Sarna. But behaviour is at the core of Taj's HR policy. The HR team is accountable for the people and their behaviour in the organisation, whether it's the CEO or the senior management. "We have reached out to about 200 customers last year to formulate the behavioural practices," says Murthy. Taj also works on gender diversity. Soon, one of the Taj hotels in Mumbai will have 100 per cent women staff. "We have introduced flexi working hours, childcare centres, increased weekly offs and abolished break shifts," In short, Taj believes in: "Take care of your employees; they will take care of your customers." 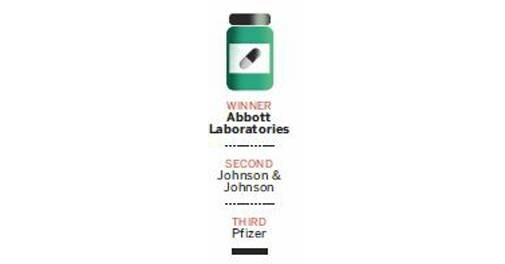 US-based Abbott, second-largest drug company in India, in terms of domestic market share, with a billion dollar plus revenue, has been the winner in this category for four consecutive years now. Abbott has an India specific human resources initiative - employer value proposition (EVP) - that has been instrumental in the company retaining talent, say Bhasker Iyer, the company's management representative in India, and Sandeep Sengupta, Regional Human Resources Director. Currently into its version 3, EVP harps on the theme of 'Grow with the Leader'. "It signals our intent of accelerating our growth in India in the near future. It offers our employees and prospective employees in campuses to know their growth opportunities and potential path for future growth," says Iyer. EVP lays stress on three simple, clear and powerful promises that the company makes to its employees, says Sengupta - 'be the best you can be' to help employees realise their potential and ensure accelerated growth to high performers; 'be inspired by what you do' to give employees pride and joy at shaping India's health care and 'be acknowledged for your efforts', he elaborates. Willing and deserving employees in India are also given an opportunity to work for Abbott's global network in various geographies, which helps the company have much less attrition when compared to industry standards of 10 to 15 per cent. Abbott, maker of popular drugs like top toddler nutrition brand PediaSure and antacid Digene, has over 14,000 employees under four major businesses in India, the highest number of employees anywhere in the world other than the US. Another initiative launched last year was Flexi Benefits and the Employee Assistance Programme (EAP). Flexi Benefits gives its employees the flexibility to choose additional benefits in the form of insurance coverage options, lifestyle-related benefits or in the area of self-development (educational courses, books, etc). All benefits extended to employees are at discounted rates and negotiated by Abbott. EAP is customised counseling and resource service introduced by Abbott for its employees and their families with free counselling, referrals and follow-up services to employees and their families, done through a third party agency. Abbott, which has invested over $4 billion in India in the last six years, is planning to set up a new pharmaceutical innovation and development centre in the country within a year. That will act as a global R&D hub for branded generics catering to over 30 countries. Its recent global acquisition of St. Jude Medical also makes it a new leader in the medical devices space. Few companies survive for a century or more in the fast paced technology world. 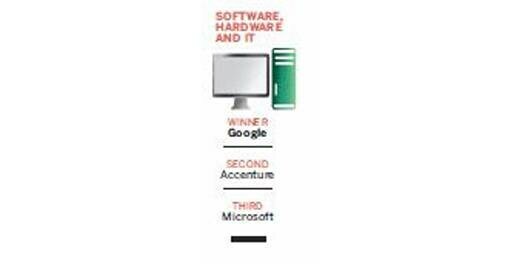 One such global player that has not only survived but continues to shape the sector is global behemoth IBM. In India too, IBM has a large footprint with probably a third of its world-wide employees being present in the country (company does not provide a country specific break-up of headcount). These employees serve both domestic as well as international customers. Apart from traditional consulting and IT services, IBM is a large player in the business process management (BPM), knowledge process outsourcing (KPO), IT enabled services market. While the BPM/KPO sector traditionally faces high attrition, the current survey clearly indicates that IBM India is doing significantly better than its peers in people practices in this sector. What sets IBM India apart? Attrition is significantly lower because of its ACE feedback mechanism - Appreciation, Coaching and Evaluation. Shiben Moitra, Associate Director - HR of IBM India says, "The ACE app is transforming the way feedback in large enterprises is looked at. Employees can seek or receive feedback in real time from anybody." 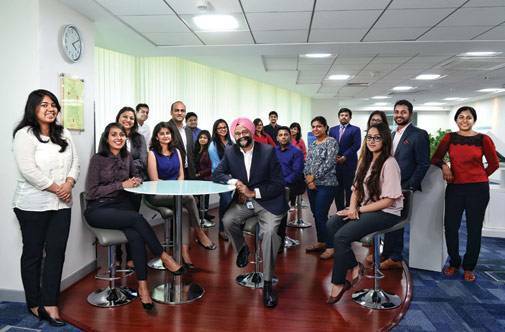 Dilpreet Singh, VP - Human Resources for IBM India and South Asia says it is the systems and processes in place, which empower its people. "We focus on building a cognitive IBM. We co-learn to co-create." Given that 40 per cent plus of employees are millenials, most of the processes have been put in the form of apps. For instance, you can clock in the number of hours worked through an app called IBM Essentials. If an employee falls sick there is an app called Medibuddy which provides access to network hospitals, claims, e-health cards and other benefits. "The ease of use and the fact that it is literally a swipe away makes it very high on engagement," Jesika Dalal, Cloud and Developer Marketing Leader at IBM India. A smarter workforce clearly seems to be working for IBM India. Kim-Ki-Wan, the 56-year-old Managing Director of South Korean electronics giant LG India, is surprised to find his company among the best ones to work for in the consumer durables and non-engineering sector. He presumed his employees would hate him for being a tough taskmaster. Kim draws inspiration from Apple's Founder Steve Jobs who had once famously said in an interview that he would trade all his wealth if he was given employees who had the curiosity of the Greek philosopher Socrates. Like Socrates, Kim wants his employees to keep asking questions. "They must hate me because it is a pain for them to answer my questions. That's why I am surprised when they say good things in the survey," he says. "I thought LG to be a hell of a company to work for." Despite their successful run over the past two decades, South Korean firms do not necessarily have a reputation for being employee friendly. The chaebols are particularly notorious for following a strict hierarchy, long working hours, and a gruelling tempo of work. Life inside LG in Korea was not much different. In mid-2015, French sales expert Eric Surdej wrote about 14-hour work schedules, and insecure, jealous colleagues in Ils sont fous ces Coreens (These Koreans are Crazy), a memoir that recounts his 10 years in the Korean firm. Had he worked in LG India, the book may have never seen the light of the day. "Right from the beginning, for the founders of this group, the motto was human beings - customers and employees. We are not that aggressive to increase our market share or make more money; we focus on humans more," Kim says. "I despise hierarchy as I want to decentralise powers and give more freedom to my workers. If I try to control more, my employees will become passive, and we won't be able to utilise the full potential of the market." Kim does walk the talk. 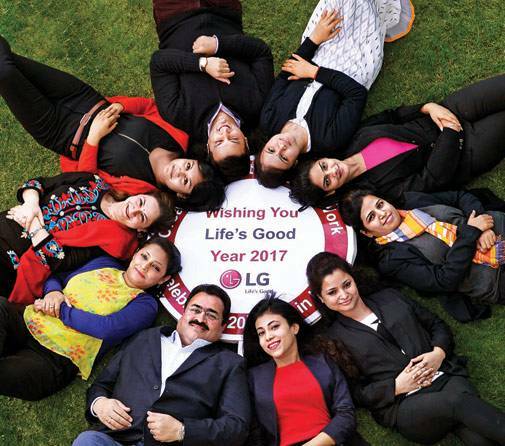 In the past 12 months, LG India has taken many steps - better training, chalking out a roadmap for individual growth in the company, engaging more with families in the form of scholarships for kids, health check-ups, and adventure trips for families, besides foreign trips for best performing workers - to keep employees motivated. Unlike other markets where risk management and the prospect of lay-offs are keeping managers busy, Kim is more preoccupied with raising the bar for his workforce, given the potential for growth of LG in India. "The most important person to me is the sales and service executive who actually gets the business for me day in, day out; not the people who sit in this office, including me," he states. "My responsibility is to motivate them so that they can sell more, and improve productivity." He also wants his workers to become a bit more cheerful, humble, and admit mistakes fearlessly. "Workers here are very competitive, and have IQs higher than the global average. They are also very devoted, loyal, and hard-working," he adds. "But why do they not greet each other every morning, even if they are strangers, like in the US or Europe? Or admit mistakes and say sorry? It is not a sin. Basic courtesy is missing in India. I encourage my people to say hello, sorry, and thank you," Kim says. Dhiraj Sharda had been planning to return to India after having spent 14 years in the US working for Yahoo, AT&T and Visa, among others. He had some offers from big start-ups in India, but none that were as promising as the opportunity to drive Airtel's payments bank business as the Chief Digital Officer. "We could have easily sourced people from other big banks. But Dhiraj has already worked in the digital space. When he conducts meeting, it's a different language that he speaks," says Srikanth Balachandran, Global Chief Human Resources Officer, Airtel. Sharda is one of the hundreds of people who have joined Airtel in recent times to help the company transform from being a pure-play telecom operator into a digital enterprise. The launch of a slew of services around its high-speed 4G network including movies, music, games and e-wallet - not typical telecom services - entails hiring people who understand the digital ecosystem. This means it has to compete with the likes of Amazon and Flipkart to attract the best talent. People with these skill sets typically prefer working with start-ups or digital-focused firms, and not a telecom operator. Till recently, Airtel was not even equipped to scout for such talent. In fact, its HR department struggled to write even a simple job descriptor (for these new skills). The first thing that Airtel did was to refresh its own HR workforce. 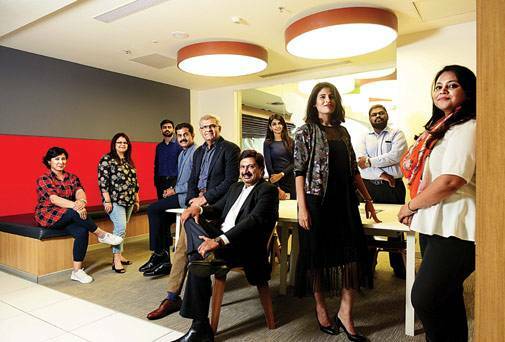 "We have hired HR people from start-ups, IT, and the content industry to inject new skills required in our path to become digital," says Balachandran. 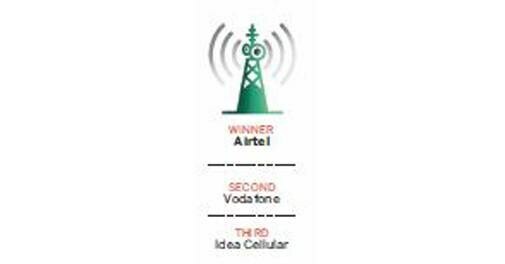 Till last year, Airtel had to fight off high attrition rates - around 20 per cent. Its workforce was leaving in hordes to join new comer Reliance Jio, and e-commerce players. Its attrition rate has fallen below 10 per cent now, thanks partly to the slowdown in the e-commerce sector. For almost a decade, India's manufacturing industry struggled with attracting and retaining talent, as against the booming IT industry. Things have changed since. "Manufacturing is no more on a weak wicket," says Pawan Goenka, MD, Mahindra and Mahindra (M&M). "Whether in marketing and sales or in product development and manufacturing, jobs have become richer. Pay packages, too, are higher in manufacturing than IT." Moreover, attrition levels are now in the low teens. Anand Mahindra, Chairman, M&M, spearheads the hunt for top talent within the group companies, under the Future Leaders Program, to be groomed for bigger roles. 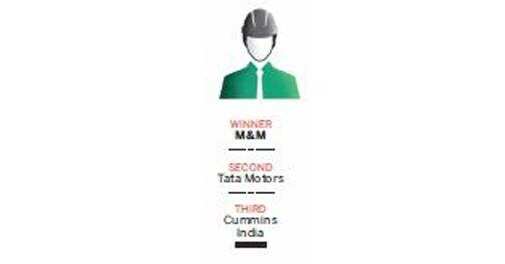 "In the first batch, we selected 32 people below the Group President level who will be trained for 18 months," says Rajeshwar Tripathi, Chief People Officer, Automotive and Farm Equipment Sectors, M&M. 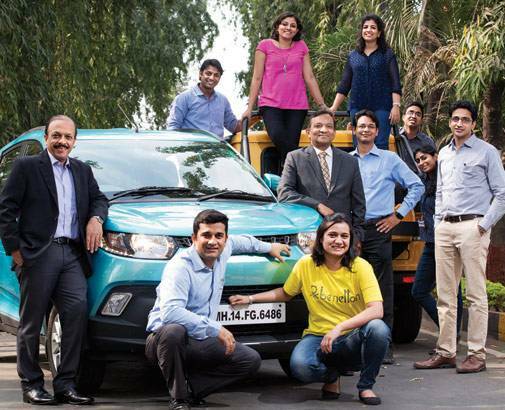 M&M's multiple businesses - from passenger vehicles and tractors to Tech Mahindra and Mahindra Finance - provide numerous opportunities to its aspirational workforce. It has an open system in which employees can apply for new job opportunities advertised internally. "It is not the availability of funds, but getting the right talent that is the biggest challenge today. 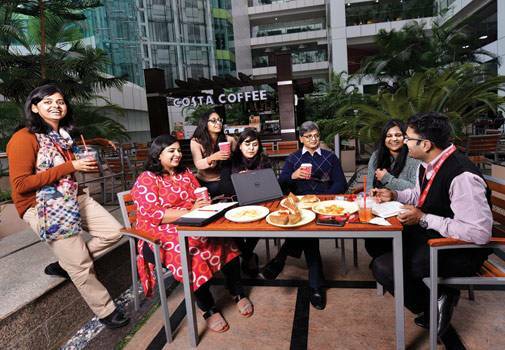 M&M has always believed in growing talent internally rather than hiring on a large scale from outside," Goenka informs. The group started Mahindra Leadership University in Nashik about a year and a half ago, to build future leaders from within the organisation. There is also the Mahindra Institute of Quality which helps create high-calibre professional managers, and the Emerging Leaders Program for the manager-level employees. Flexi hours, and five-day weeks are some of its other crowd-puller initiatives, apart from the work from home incentive, for two days in a month, for women employees with children below 18 years of age. The strength of women on its shop floors has almost doubled in the past three years. It has also instituted a women's leadership programme. The biggest challenge for modern brick-and-mortar retailers is attracting and retaining talent. 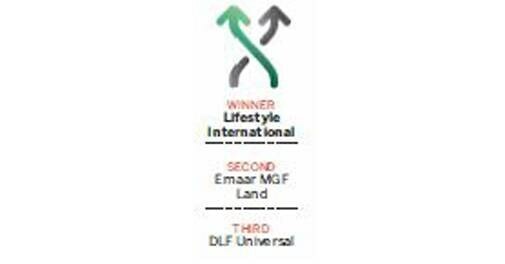 For the `8,600-crore Lifestyle International, which owns multi-brand fashion retail stores Lifestyle, Max and Home Centre, it was no different. In 2005, for instance, the attrition rate was as high as 80 per cent. The company felt it had to do something about this if it was to grow. "We focused on growth for the first four-five years. After we built scale, our focus shifted to quality of growth, which was dependent on hiring and retaining the right talent," says Kabir Lumba, MD, Lifestyle International. Like at any modern retailer, the highest attrition was among the front-end staff - common complaints included long working hours, low pay, and lack of growth opportunities. "We had a new employee joining or leaving us almost every week," says B. Venkataramana, President (Group HR), Lifestyle International. The company decided to first focus on the front-end staff and started offering flexi working hours and medical facilities. It also introduced Zumba and yoga classes to reduce employee stress. However, the game changers were initiatives such as LIFE (Learn, Implement, Fastrack, Expert) and LEAP (Landmark Education). While LIFE is an in-house programme to provide technical and soft skills to front-end employees and reward them for shop-floor skills, LEAP enables them get a degree in retail management. "We bear 50 per cent course fee in the first year. In the second year, we reimburse even the 50 per cent fee the employee has paid in the first year. The employee is offered a cash reward of `10,000 after the course," says Venkataramana. "Quite a few employees have made it to the middle management level from store supervision on completion of the LEAP programme," he says. The company has also started a programme in which the HR manager and the store manager meet the employee the day he joins and take him through the job requirements. After 90 days, the HR team reconnects with the employee to gauge the challenges he is facing. "Almost 40 per cent attrition happens within the first three months," says Venkataramana. In the past three-four years, the company has managed to bring down the attrition rate to 35 per cent (the industry average is 50 per cent). Priyadarshini Abraham, Associate Director, RGF Executive Search, says Lifestyle's HR interventions have been a major reason for the company's exponential growth. The company has been growing at a compounded annual growth rate of 26-27 per cent. "Their competitors may be bigger in revenue terms, but when it comes to taking care of employees and offering them a clear career progression, Lifestyle is several notches than the rivals," says Abraham. In a one-of-its kind initiative in the banking sector, ICICI Bank has allowed its women employees to work from home. Already, 200 women have enrolled under iWork@Home, for which the bank has provided an office-like environment, with access to an operating system with face recognition safety features. Another initiative, iTravelSafe, is aimed at making women feel safe. This application tracks the location of women employees (subject to their consent) while travelling to and from work. It offers speedy action in case of distress. These initiatives, launched a year ago, are among the numerous employee-friendly steps the bank has taken in the recent past. In fact, this is one reason women representation at ICICI Bank is a healthy 30 per cent. "We strongly believe in diversity of thought and freedom to express. We give a lot of respect to employees. 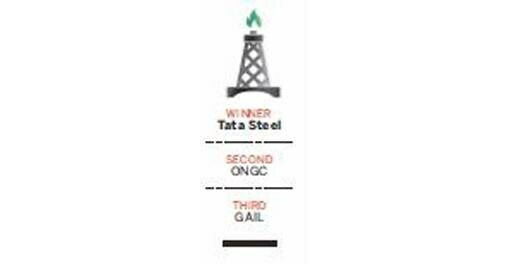 We invest in them well ahead of time," says Senior General Manager T.K. Srirang. In the overall ranking, the bank is among the top 10 Best Companies to Work For. The bank has built a robust framework for training employees. 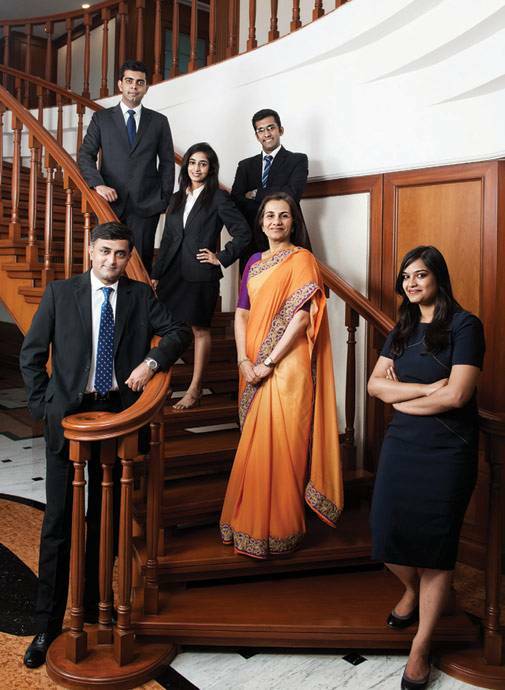 ICICI Manipal Academy, for instance, trains 2,400 students every year. To help the students learn better, the bank has digitised the curriculum. "Classroom sessions have to be focused on discussion and engagement," says Srirang. The bank has invested heavily in the faculty. Recently, it roped in Gautam Kaul of Ross School of Business, University of Michigan, for training the faculty. It also has a programme for placement of young faculty members at the bank. The leadership process, says Srirang, starts from frontline sales officers. Every two years, the bank identifies 500 sales officers for training at ICICI Manipal Academy. These officers come back as frontline supervisors. The bank also runs a young leadership programme under which business school graduates who join as senior officers are sent for a one-year course at the NMIMS University. The bank also runs a leadership mentoring programme for middle-level officers. In the past, the bank has invited achievers such as economist Professor Dan Ariely, tennis player Martina Navratilova and astronaut Jim Lovell to talk about leadership. 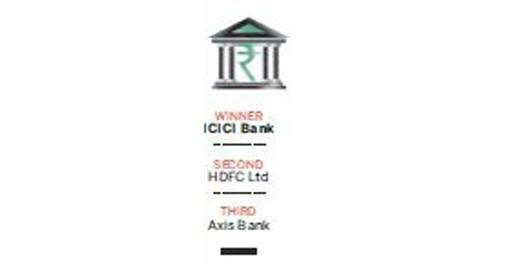 And the bank walks the talk. To reignite its passion to innovate, Tata Steel takes to the Himalayas. The steelmaker has introduced a 15-day adventure trip to the world's highest peaks as part of its training programme for management trainees and lateral entrants. Bachendri Pal, the first Indian woman to summit Mount Everest in 1984, leads the transformative journey for new entrants. 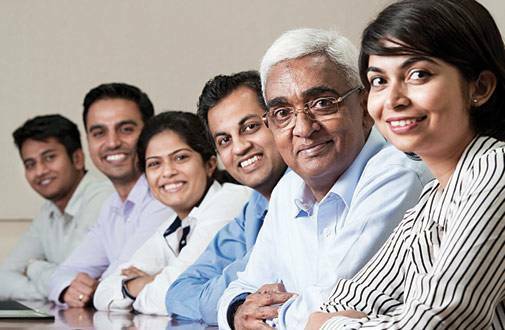 In the midst of the global commodity crisis, the HR department at Tata Steel (TSL) is actively working towards keeping employees cheerful and motivated. Among the recently introduced perks are employee-friendly initiatives like five-day weeks, 26-week maternity leave, satellite working for spouse, and 10-day honeymoon packages for newly married employees. The company also offers a five-night holiday package for each staffer annually at 10 per cent of the billed cost, which includes hotel stay and food. 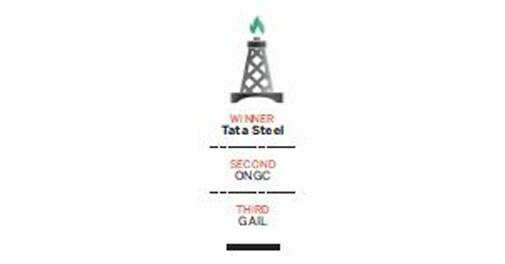 "Welfare, wellness, and development of employees form the DNA of Tata Steel, and it is visible through the pioneering people practices and policies that govern us. We strive to build a work environment that focuses on creating an engaged, diversified, productive and healthy workforce," says T.V. Narendran, Managing Director, Tata Steel, India & South-East Asia. TSL has 36,000 employees in India alone. That number rises to 80,000 if you include employees in Europe, Thailand, and Singapore. Its India unit has 2,000 women working in steelmaking facilities. "There are governmental restrictions on working hours of women employees inside factories and underground mines. The number will go up if we get permissions from the respective state governments," says Suresh Dutt Tripathi, Vice President - Human Resource Management, TSL. Keeping up with fast changing technology and products is a major challenge for manufacturing companies. Digitisation knocks off a large part of jobs in factories and allied facilities. Tripathi informs that TSL re-skilled its employees and workers to adapt to the changing environment. "We have a team for digital value acceleration. It handles the internal resources and aligns them with digital technology. It is not that people move out because of the advent of new technology, but skills. 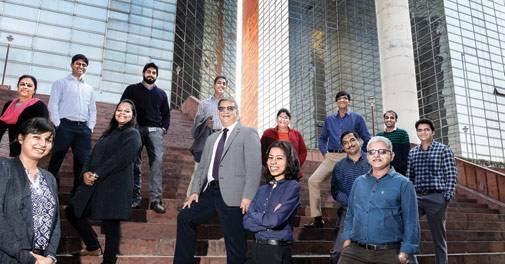 People will change the skill to stay relevant in the company," Tripathi of TSL adds. Though acquiring tech talent is easy, for TSL attracting management talent has been difficult. Its human resources team runs campaigns in management institutes to change students' perceptions about working in a manufacturing company, gives opportunities to select students to attend its leadership and career opportunity programmes. "We have introduced learning initiatives to bridge the functional skill gaps, and to identify candidates for focused learning in line with future needs," says Suresh Tripathi. TSL has tie-ups with institutes such as IIT Kharagpur and IIT Delhi for courses, including PhD. Mentoring starts from the management level and continues till the senior executive level with an intention to make succession easier in crucial roles. The group invests in improving its managerial and technical capabilities through the internal development of its own employees across Europe, India, and South-east Asia. The idea is to create a pool of experts in different technical areas. Apart from creating specialists, the HR policy also focuses on managerial learning. TSL introduced 'On-the-Job Learning' for executives through cross-functional assignments for enriching their roles in the company. As part of its global talent management initiatives, TSL allows movement of executives between Tata Steel India, Tata Steel Europe, NatSteel and Tata Steel Thailand to enable cross pollination of ideas and practices, apart from providing executives with global experience.